Information on how to access your library account. 2. Click on "Catalog (books/ebooks)" in the "Find" section. 3. "Sign In" located at the top right corner of the screen. Click on it 2 times. 4.You will use your DCCCD email as your username. 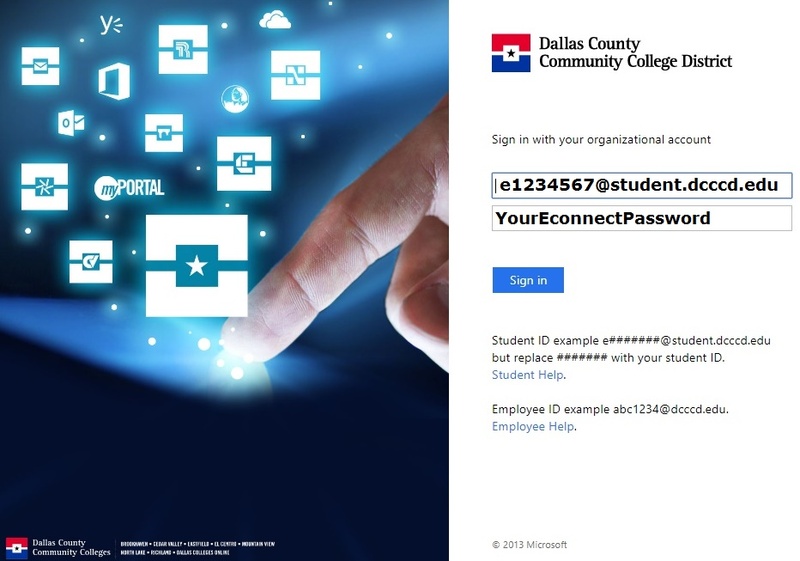 For students: Enter e, your student ID number, and @student.dcccd.edu as your username. For staff and faculty: It is your 3 x 4 @dcccd.edu. After entering this information, click on the Sign In button. ***If you don't know what your password is or it does not work, your password may have expired (passwords expire every 90 days). Reset your password in eConnect. It may also be that your account is lock. Wait 45 minutes, reset your password in eConnect and wait another 15 minutes. You have to wait that time period, otherwise any earlier attempts will prolong the wait time and ability to access your account. 5. 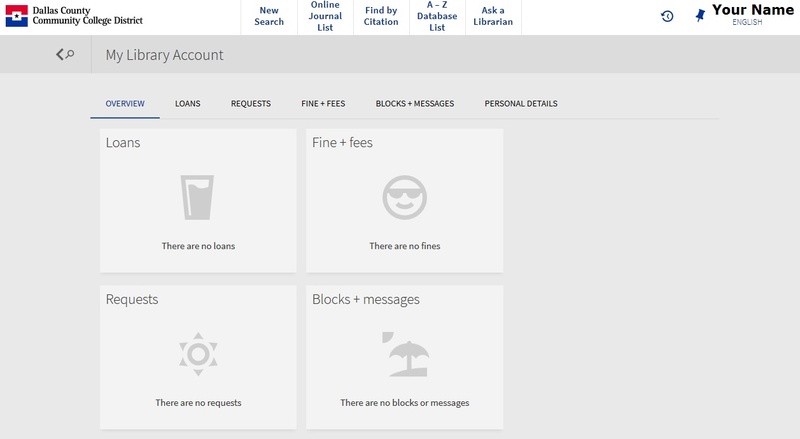 To access your library account, click on "Sign In" and then click on "My Library Account" at the top of the screen. NOTE:If you are a new student to DCCCD, it may take 24-48 hours after completing the NLC registration process before your information is uploaded to our system. Contact the North Lake Library at 972-273-3400 for questions you may have regarding your library account.